An Informed Decision Is The Best Decision! Have You Been Charged With Drug Possession In New York? Nassau County Takes Drug Possession Charges Seriously! 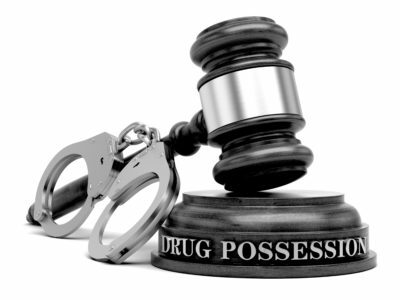 FIGHT YOUR DRUG POSSESSION CHARGE WITH AN EXPERIENCED NASSAU COUNTY CRIMINAL DEFENSE LAWYER! Let Us Help You Keep Your Criminal Record Clean! DO NOT ACCEPT CRIMINAL CHARGES WITH A PLEA. FIGHT DRUG POSSESSION CHARGES! The substance you are accused of having was a controlled substance. You were actually in possession of that controlled substance. You were knowingly in possession of the substance. The possession was considered unlawful. These factors may seem easy to disprove, but you would be mistaken. Finding an experienced criminal defense lawyer to help you defend yourself against drug possession charges is vital. With The Law Offices of Michael H. Ricca P.C., you can rest assured you get the experience, passion, and knowledge of a quality legal counsel. Under the current New York State laws, you may be charged with possession of a controlled substance. Below, we help to explain each law and the potential consequences you may face if you violate them. This Section of the New York Penal Law helps to define what the State views as a controlled substance. Also referred to as a controlled dangerous substance, or CDS, this Section consists of 20 definitions that help clarify any terms used within the subsequent Sections. One thing you should note, however, is that possession of a controlled substance can be physical or “constructive.” Constructive possession occurs when a person is found to have control over a person or place where a controlled substance is found. For example, if drugs are found in your vehicle or home during the course of a search, you are considered to be in “constructive” control. Violating Section 220.03 acts as a catch-all for drug quantities and types not listed under the below Sections, with the exclusion of marijuana. These types of possession offenses are considered a Class A misdemeanor. As a Class A misdemeanor, the maximum incarceration sentence you can receive is up to 1 year in jail. A $1,000 fine may also be assessed in place of, or in addition to, any jail sentence you receive. Criminal possession of a controlled substance in the fifth degree is a Class D felony. Several different types of possession fall under the violation of Section 220.06. When it comes to narcotic preparation, being caught with as little as 0.5 ounces will result in this charge. Other drugs and quantities that will cause you to be charged with a Section 220.06 violation include having between 50 and 250 milligrams of phencyclidine (PCP), 500 milligrams or more of cocaine, between 1,000 and 4,000 milligrams of ketamine, or between 28 and 200 grams of gamma hydroxybutyric acid (GHB) in your possession. A Section 220.06 conviction will result in a fine, prison sentence, or combination of the two. If you are found guilty of this type of crime, you may be ordered to pay a fine of up to $5,000. If you are incarcerated because of this crime, you can spend up to 7 years in a state prison. Criminal possession of a controlled substance in the fourth degree is considered a Class C felony. There are several different reasons you may find yourself charged with violating Section 220.09. For drugs that are classified as a narcotic CDS, having between 0.125 ounces and less than 0.5 ounces will result in this charge. When stimulants are involved, having between 1 gram and less than 5 grams will fall under a Section 220.09 violation. The potential consequences of a Section 220.09 violation are serious. The punishments for a Class C felony may include up to a $15,000 fine, up to 15 years in a state prison, or a combination of both. If you are convicted of criminal possession of a controlled substance in the third degree, you have been found guilty of a Class B felony. To be convicted of violating Section 220.16, the court must find you guilty of one of several crimes. If you are in possession of at least 0.5 ounces , but less than 4 ounces, of a CDS classified as a narcotic drug, you can be charged with this crime. Having between 5 grams and less than 10 grams of a stimulant will also result in this charge. When it comes to hallucinogenic substances, however, you would need to found with between 5 grams and less than 25 grams in your possession. For lysergic acid (LSD), if you had 5 to less than 25 milligrams of the substance can result in a violation of Section 220.16. Having 1,250 milligrams (or more) of PCP also falls under this Section of the law. A Class B felony conviction comes with serious penalties. This can include up to a $30,000 fine, up to 25 years in prison, or a combination of the two. A violation of Section 220.18 is a Class A-II felony. There are several different ways you can violate Section 220.18. If you are caught with between 4 ounces and less than 8 ounces of a CDS classified as a narcotic drug, you can be charged with this crime. Having 2 or more ounces of methamphetamine, 25 milligrams or more of LSD, and between 2,880 milligrams and 5,759 milligrams of methadone is also a violation of Section 220.18. For a CDS that is classified as a stimulant, 10 grams or more is considered criminal possession of a controlled substance in the second degree. Being in possession of 625 milligrams or more of a hallucinogen-classified CDS, or 25 grams or more of a hallucinogenic substance is also a violation of Section 220.18. Penalties for violating Section 220.18 include a fine, a prison sentence, or both. The fine can cost you up to $50,000. In addition, you may find yourself incarcerated for 3 to 8 years. Criminal possession of a controlled substance in the first degree is considered the worst possession offense in New York State. As such, it is a Class A-I felony. In order to be charged with a violation of Section 220.21, you must be in possession of 8 or more ounces of a narcotic-classified CDS. This charge also includes possession of 5,760 milligrams or more of methadone. The penalties for the violation of Section 220.21 are some of the most serious you can face in the State of New York. Penalties for a Class A-I felony include fines up to $100,000, a prison sentence between 15 and 25 years, or a combination of both. When a controlled substance is present in an automobile or in open view in a room, those who are in that space can be charged with possession under Section 220.25. This law means that if you are in a room where drugs are openly being used or sitting out, you can be charged with criminal possession regardless of if the substance was actually yours. If you are 18 years or older, and you use a child or person under the age of 16, to facilitate the sale or attempted sale of a controlled substance, you can be convicted of a Section 220.28 violation. This is a Class E felony. As a non-violent Class E felony, violating Section 220.28 can result in fines as well as a potential prison sentence. While some Class E felonies may warrant probation without jail time, you may serve between 1-1/3 years to 4 years in a state prison. A fine of up to $5,000 may also be ordered by the court. In the State of New York, drugs are divided into five different “Schedules”. These schedules categorize drugs based on the probability of their abuse or addiction. While New York Penal Law Section 220.00 defines the key words used throughout this portion of the law, it actually points back towards the New York Public Health Law, Section 3306 for the classification of specific drugs. Schedule I drugs are considered to be the most serious and likely to cause abuse or addiction. Section 3306 of the New York Public Health Law contains an extensive list of all drugs that are classified as Schedule I substances. Opiates, opium derivatives, hallucinogenic substances, depressants, and stimulants are all Schedule I controlled substances. Methylfentanyl, heroin, LSD, GHB, mephedrone are also examples of Schedule I drugs. Schedule II drugs are those considered to be almost as dangerous as those listed above as Schedule I drugs. Substances that are of vegetable origins, either independently extracted or extracted via chemical synthesis, are Schedule II drugs. Opium, lesser opiates, lesser stimulants, lesser depressants, immediate precursors, anabolic steroids, and anabolic steroids intended for use on cattle all fall into the Schedule II category. Morphine, oxycodone, fentanyl, methamphetamine, phenylacetone (P2P), dihydroxy are also examples of Schedule II controlled substances. Schedule III drugs are those drugs that make up the middle ground. They are addictive, but less so than those considered to be Schedule I or Schedule II, but more so than Schedule IV and Schedule V drugs. Compounds used to prepare Schedule II stimulant substances are considered to be Schedule III drugs. Schedule III drugs include lesser stimulants, lesser depressants, nalorphine, narcotic drugs, synthetic dronabinol, and chorionic gonadotropin. Benzphetamine, amobatbital, any LSD derivative, and codeine that is less than 1.8 grams per 1/100 millimeters per dosage are also examples of Schedule III drugs. Schedule IV are considered even less potent than those in the higher tier Schedules. Schedule IV substances include narcotic drugs, depressants, fenfluramine, stimulants, and a grouping of other specific substances. Dextropropoxyphene, barbital, mazindol, pentazocine, butorphanol and tramadol are also Schedule IV substances. Schedule V drugs are considered those that are most likely to have medical purposes, in addition to creating an addictive situation. Certain quantities of narcotic drugs, stimulants, and depressants are all Schedule V drugs. Having less than 200 milligrams of codeine per 100 milliliters, pyrovalerone, and ezogabine are also examples of Schedule V drugs. Multiple convictions will increase the seriousness of your penalties. For example, if your first conviction is for 1 kilogram of heroin, a Schedule I drug, you may be sentenced to at least 15 years in prison and up to $100,000. However, if you are convicted of a second offense, you may receive a subsequent prison sentence of not less than 20 years and a fine of $200,000. If you are convicted of three or more offenses, however, you may find yourself incarcerated for the rest of your life. Being convicted of criminal possession of a controlled substance is a serious offense. Whether you have been charged with misdemeanor or felony drug possession, being convicted of drug possession will have lifelong consequences. A criminal record can devastate a once bright future. For jobs that will require a background check, you will likely be outright denied. Many employers are likely to fire you for your conviction. Financial establishments, such as loan companies, are likely to reject your application, making your financial repercussions even direr. In some case, you may even lose the right to vote, as well as your eligibility for public assistance and housing. Personal relationships can also be seriously affected by criminal drug possession convictions. THE LAW OFFICES OF MICHAEL H. RICCA P.C. CAN HELP YOU FIGHT YOUR DRUG POSSESSION CHARGES! The Law Offices of Michael H. Ricca P.C. understands just how terrifying it is to be charged with drug possession. New York’s severe stance on drug-related crimes is notorious. Given the severity of the consequences for drug possession in New York, you should never attempt to plea or fight this charge without the help of a reputable, qualified criminal defense lawyer. If you have been charged with drug possession in New York, contact The Law Offices of Michael H. Ricca P.C. today for a free consultation. You have the right to due process. We can help. Nassau County Traffic Lawyer – The Law Offices of Michael H. Ricca P.C. The information contained in this website is not, nor is intended to be, legal advice. You should consult an attorney for advice regarding your individual situation. This site does not create an attorney client relationship.